Dry Fruit is one of the most popular and widely appreciated gifts on the Traditional festival and especially for Diwali occasion. These crispy treats hamper are presented to convey prosperity and happiness to loved one’s family and friends. We have included delicious dry fruits in this hamper. It is a traditional crispy dessert made of fresh quality. Diwali is the festival of lights happiness and togetherness. Let this Diwali bring the most happiness in every one’s life and the light of Diya shows us better way. Gift this exclusive Pair of earthen Diyas with Tea light wax candle gift to your loved one and wish for their successful life. 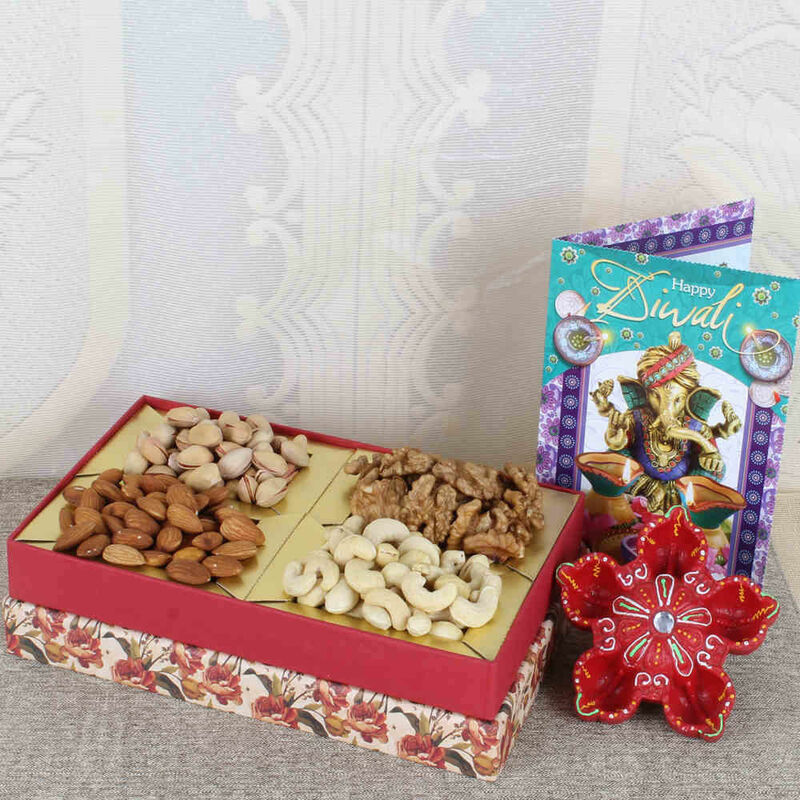 Assorted Dry Fruits (Almond, Cashew, Walnut, Pistachio) Weight: 500 gm in a Box, Designer Earthen Diya along with Diwali Greeting Card.